Amid the flurry of new models diversifying Skoda's range over the past decade, the Rapid Spaceback can be easily overlooked – it's an unusual size, blends rather sporty looks with the cost-conscious roots of the Fabia, and unlike the Octavia hasn't had the reflective stamp of emergency services to build credibility. 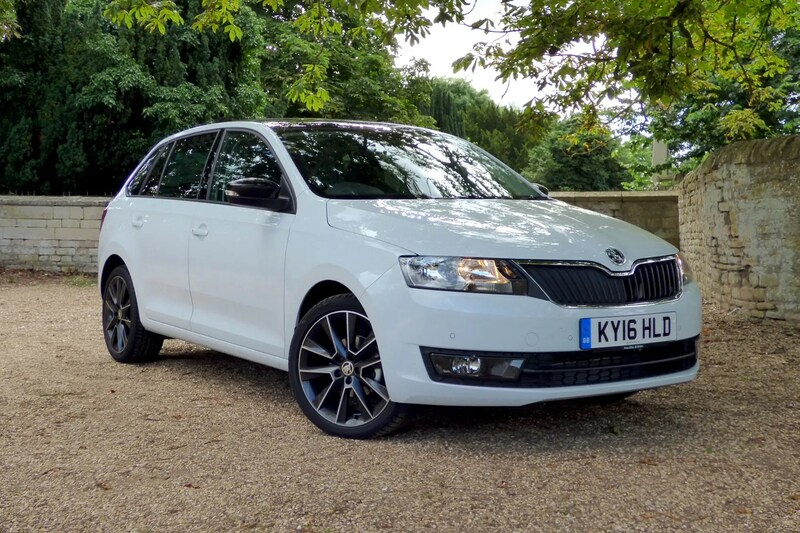 Which is a little unfair, as the sub-£15,000 starting price for the Spaceback gets the same attention to detail, mature design and tactile quality as an Octavia plus an impressive 2.6m wheelbase. That's equal to cars a class above, and bestows upon the Rapid and Spaceback an incredible amount of rear legroom – perfect for growing families. What's the Skoda Rapid all about? Like many of the cars we feature in this series, the Rapid is a global market car that is aimed at very different economies. It's got to appeal to buyers who are less affluent in relative terms, or meet the needs of more challenging environments or users; the emphasis is on functionality and usability. Even so, for those markets the Rapid is an aspirational, high-quality product with class-leading design – so the differences compared to premium models are surprisingly minor. 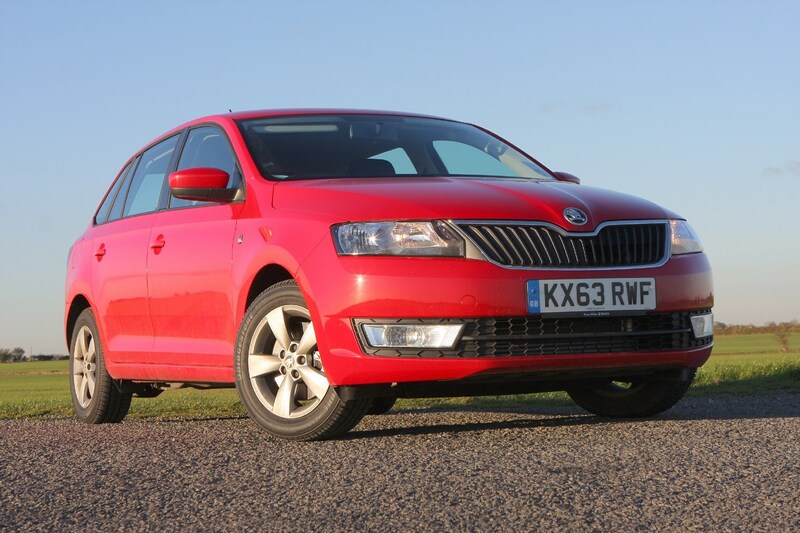 It also introduced a lot of Skoda's trademark useful touches, like the ice-scraper in the petrol flap. 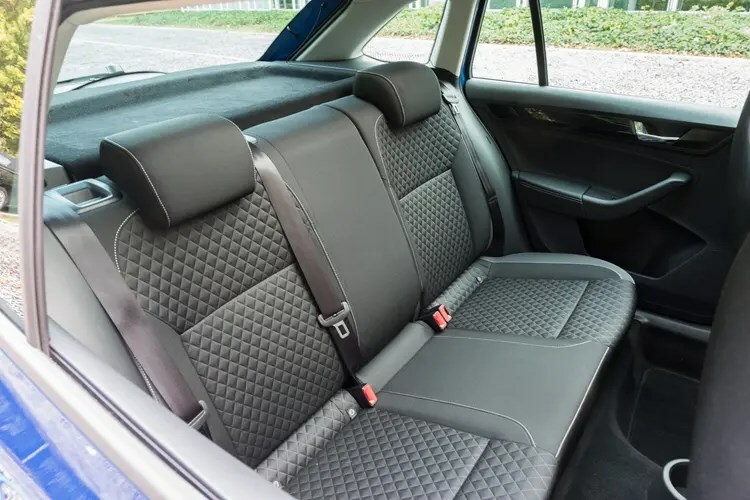 Where British buyers might be happier to have a more upmarket car overall if they need more passenger space, the Skoda keeps things simple to deliver the required room. Fundamentally, the Rapid is another one of those cars that follows need, not trends, and is ridiculously sensible. 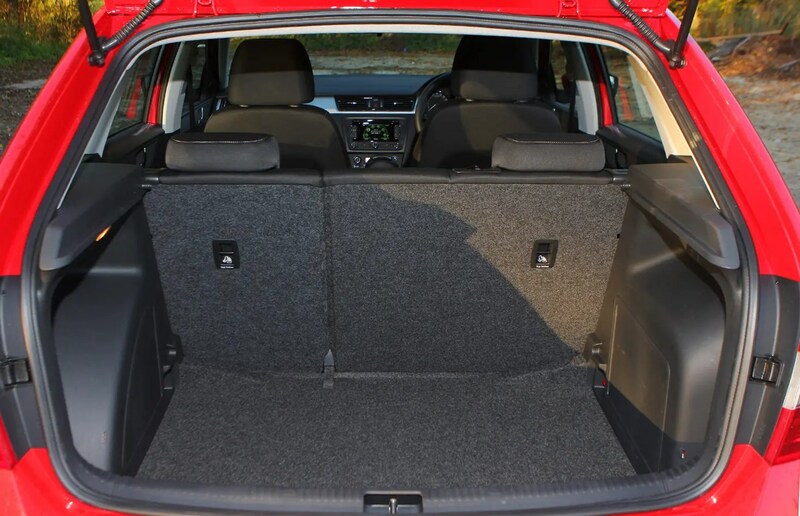 The short-boot saloon profile of the regular Rapid Is actually a roomy hatchback, and it packs a lot into the 4.4m length. It's a little odd-looking, though, and we think the Spaceback is the real star of the range. 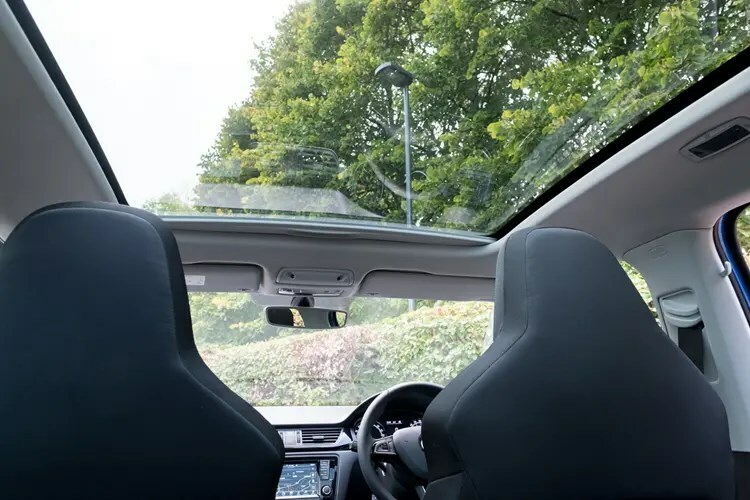 The Rapid Spaceback Sport is a good looking family hatchback – it's actually shorter than the regular Rapid, at 4.3m, and with the panoramic roof option and extended tailgate glass (which distinquishes the Sport trim) appears to be glazed from bonnet to rear number plate. What does the Rapid lack compared to premium hatchbacks? Bloat, clutter and needless fripperies, if you want to be brutally honest. Everything essential is available, including convenience features like cruise control, air conditioning and automatic headlights and wipers. There's no cost cutting in the safety, either – the Rapid is a five-star car with 94% adult occupant protection. Most of the savings are found in how equipment is distributed between trim levels. More models come with the once-commonplace mechanical-feeling, rotary heater and ventilation controls instead of a digital climate control panel, and luxury or style items like privacy glass, 16-inch alloy wheels or front foglights are reserved for the highest specifications. If you want some design elements closer to premium brands, though, you can get them – LED tail lights, chrome interior details and different dashboard trims are all available at extra cost. Behind the wheel there's a decent, if uninvolving chassis with an emphasis on comfort, and steering that is well weighted. Refinement Is pretty good too, though you'll notice a few areas that more expensive cars manage to suppress – particularly road imperfections through the steering. So why hasn't the Rapid Spaceback been a big seller? In essence, most new car buyers are financing their purchase, and are incentivised into higher spec, more aspirational models for the money; it's not enough to be astoundingly useful or competent anymore. That also offsets the £2-3,000 saving you'd make choosing a Rapid over more premium competitors - even within Volkswagen Group's vast combined range - particularly as getting the most stylish Rapid Spaceback moves the price closer to £19,000; still excellent value, but a highly competitive area of the market. What makes the Rapid Spaceback such a good used buy? 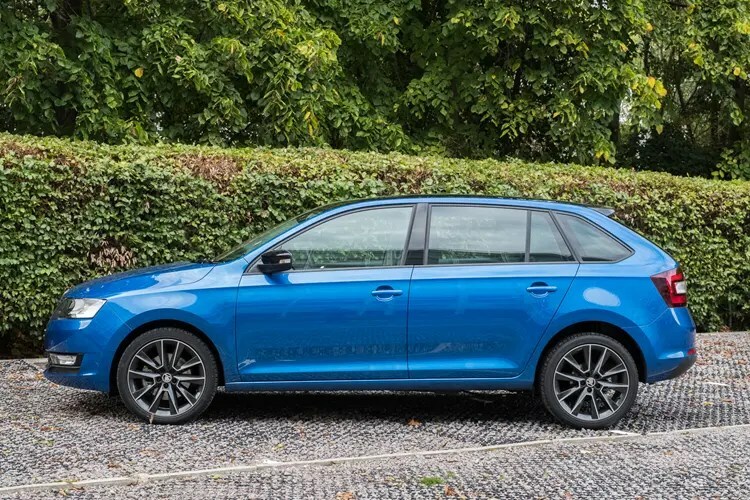 Aside from the fact that it's just a really good, practical and well-made family car, the Rapid Spaceback's relative obscurity keeps demand quite low – unlike the well-known Octavia and Fabia – so dealers are keen to find buyers for the ones they have. A well optioned, low mileage SE Sport can be found for around half the new price at just two years old and under 20,000 miles; the savings are equally attractive on nearly new high-specification models. Money saved up front is supported by money saved in running costs too; with less complicated technology, fewer mechanical options (such as an expansive panoramic roof that doesn't open, avoiding the risk of failed motors and runners) and proven, economical engines, the Rapid Spaceback is one of the lowest-risk cars you can buy with the intent to run for an extended period. Add all of that to impressive passenger space for a growing family, and you've got a winning – if rather sensible – combination. What should I consider when buying a used Skoda Rapid Spaceback? Very little goes wrong, so if you're looking at a Skoda Rapid or Spaceback, it's a case of general used-car common sense; check for decent service history, don't go for older low-mileage diesels without having the emissions system checked as the diesel particulate filters can clog, and look for accident damage or wear that doesn't make sense with the recorded mileage. Check any Simply Clever accessories are still with the car, such as the umbrella in the passenger seat pocket. Where's the Skoda Rapid Spaceback now? Still in showrooms – at least, for a few months yet. A successor has been announced in the form of the Skoda Scala, which promises a more premium feel, sportier handling and generally aims to take on the competition through merit and style, rather than undercutting so aggressively. Until then, you're likely to find some impressive deals on existing stock, and if buying on finance it's vital to compare the monthly figures – you may get a new one for the cost of used. 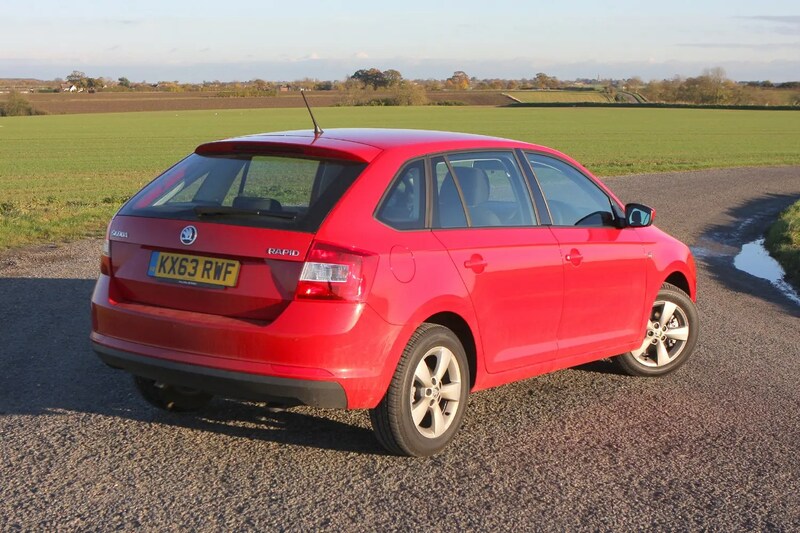 How much should I pay for a Skoda Rapid Spaceback?